Adding a luxury item to your home, such as a tailor-made conservatory, is an important investment, which is why it's a good idea to make sure your architectural project is absolutely flawless. However, ensuring the architectural project is up to scratch is not enough on its own. If you want to build the perfect structure in line with your customer's wishes and needs, you need to think about interior design and make sure you carefully pay attention to all details. So, how to go about furnishing a conservatory? It may seem like a difficult task, especially when inspiration is lacking or you're undecided on what exterior materials to use. In fact, furnishing a conservatory requires a different set of features and attention to detail compared to other rooms in the house. First of all, conservatories are more humid and let more light in. These factors should be taken into consideration when choosing furniture. Secondly, you have the opportunity - and sometimes the obligation - to come up with new ideas, materials and styles that may not have been used in other rooms in the home, while ensuring that the style complements the rest of the house. The indoors definitely meets the outdoors in conservatories thanks to their characteristic large windows and doors. We therefore recommend choosing furniture that is resistant to wear and tear both indoors and outdoors. Synthetic rattan and outdoor furniture is perhaps the best solution and has the same appearance as natural rattan but can be happily left out in direct sunlight without becoming damaged over time. Lighting will certainly not be a problem during the day thanks to glass ceilings and walls. However, in the evening or during winter months, adequate lighting will be necessary as they days start drawing in. It's therefore a good idea to install artificial lighting in addition to natural light. It might be worth considering something that works on both a functional and design level. Achieving the right lighting levels can transform a conservatory into a warm and inviting space. Warm and delicate floor lamps are perfect for adding a little ambience to a room. While floor lights projected onto walls can highlight a room's architectural style, a strip of LED lights along the ceiling perimeter will help light up the room without blocking upward vision. Why not hang a large chandelier from the ceiling to create elegance and generate a bit of appeal? If the room is purely neutral in colour, adding a few different textures can help create a livelier atmosphere with a mix of design elements. For example, the style and shape of a rug, which will give softness to the room, depends on the existing furniture. If the space is full of different colours and textures, a minimalist design might be best. Likewise, if you have a simple and clean room, you could opt for a more colourful carpet. Sometimes conservatories are used as kitchens - the heart of the home - where families and guests gather to socialise and enjoy meals together. It's therefore essential that you create a functional and pleasing environment with an ergonomic, unique and visually-appealing design. By opting for an open-plan kitchen conservatory, you can enjoy the comfort of a living space in conjunction with the practicality and functionality of a kitchen. If you want to deviate from a typical kitchen you might find in the existing building, you could opt for a metal kitchen unit, which is a little different from traditional design schemes. Painted or polished metal will blend with the conservatory structure, creating a unique combination. Turning your conservatory into a dining room means having lots of natural light to play with. Monochrome interiors and neutral shades can work perfectly to create a space with a sober yet sophisticated impact. A chandelier hanging above the table keeps the space well-lit and suggestive during the evening. 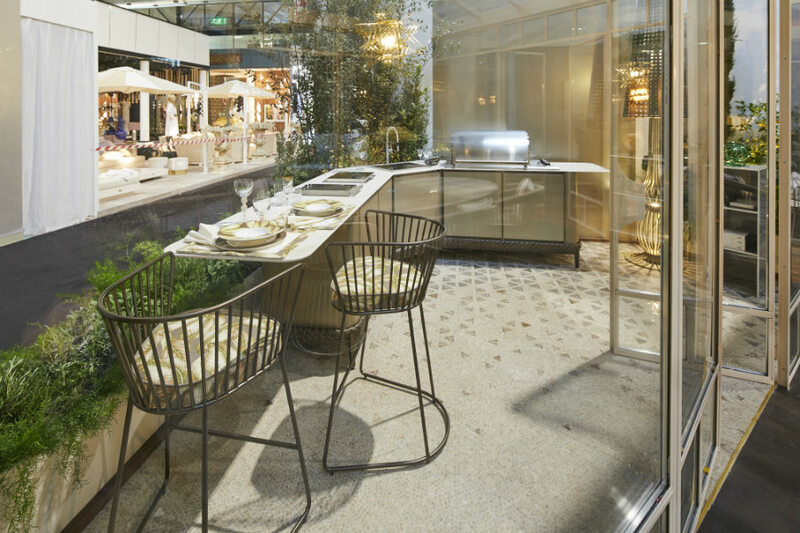 A metal table surrounded by upholstered chairs is a luxurious design idea that perfectly suits conservatories. For a truly contemporary lounge space, why not opt for sofas with large cushions in light colours. Natural light coming through the glass roof will reflect colour clearly for a fresh, modern and inviting look. Choosing a few green elements or fabrics that mimic brightly coloured leaves can help establish a connection with the outdoors. 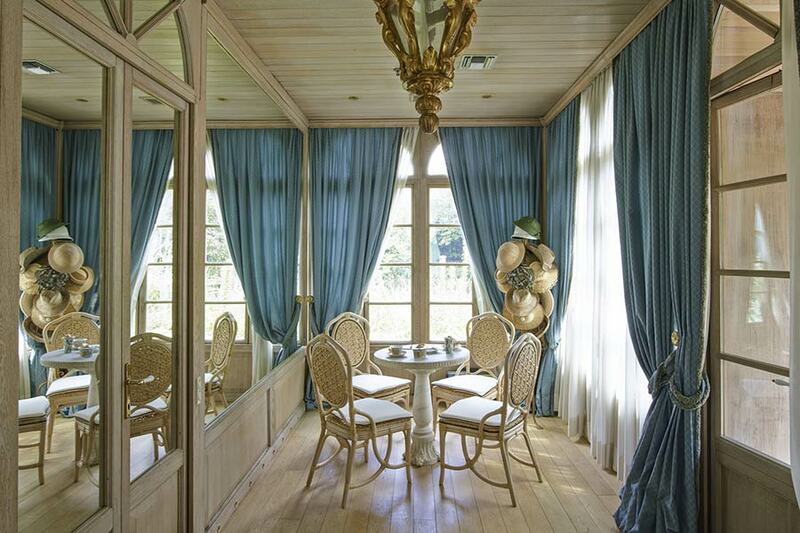 Mirrors can improve the appearance and perception of a space. 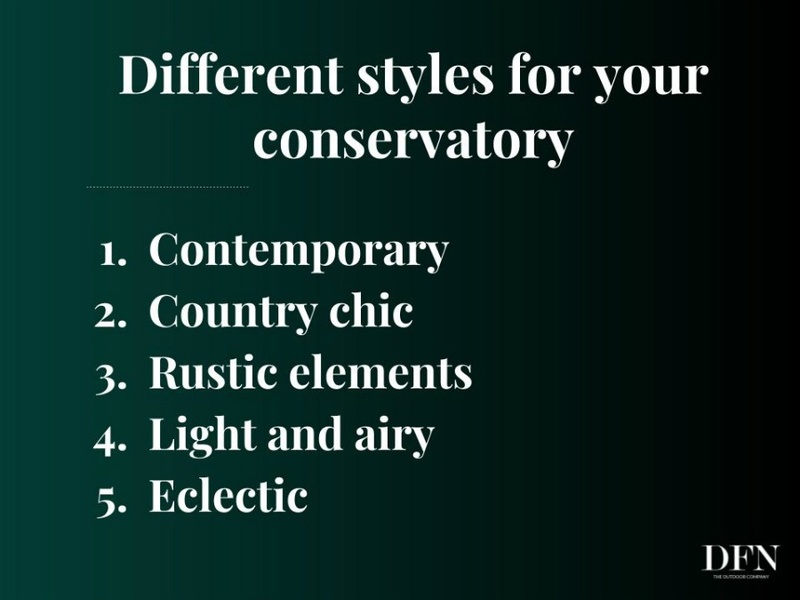 A variety of shapes and sizes can offer elegant simplistic, contemporary, classical or baroque styles. This contemporary and super chic option allows easy and convenient access to the garden, in addition to circulating air, creating a wonderful feeling of privacy while offering a magnificent view. Flooring is important because it affects a conservatory's perceived tone and temperature. Hard ceramic floors are a good option due to their resistance to variations in temperature and sunlight. There are a lot of ceramic options out there these days that faithfully mimic the look of marble, so you can combine the practicality of ceramics with the luxurious appearance of marble. Marble or natural stone floors also create a luxurious feel, but high-quality wooden floors can also have a strong impact. 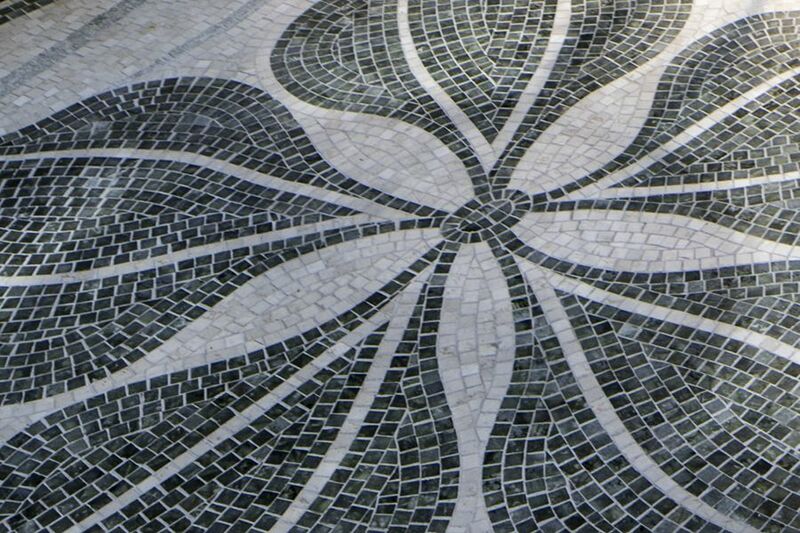 If you want to create a floor with a wow factor, why not opt for a marble mosaic floor that allows you to create a floor with your desired decoration or design. Conservatories can be entirely personalised; design choices are therefore completely up to the customer. If you want to opt for a super-modern look, go for minimalist furniture. The country chic look never stops evolving. Go for tweed and beige prints, as well as light grey and blue shades to make the most of traditional features such as bricks, beams and wooden floors. A style that seems a bit '"lived in" is becoming a real trend. Old wooden tables and green leafy plants are perfect for this look. Conservatories are light and airy by nature, so you can take advantage of this natural characteristic and maintain a bright space by using light colours on the walls and mirrored elements to reflect light. For an eclectic style, where the real protagonists in the room are the objects, there is no need to follow a theme if you want to create a room that's entirely personal. Include a few specific objects, such as works of art, highlighting them in the surrounding space. 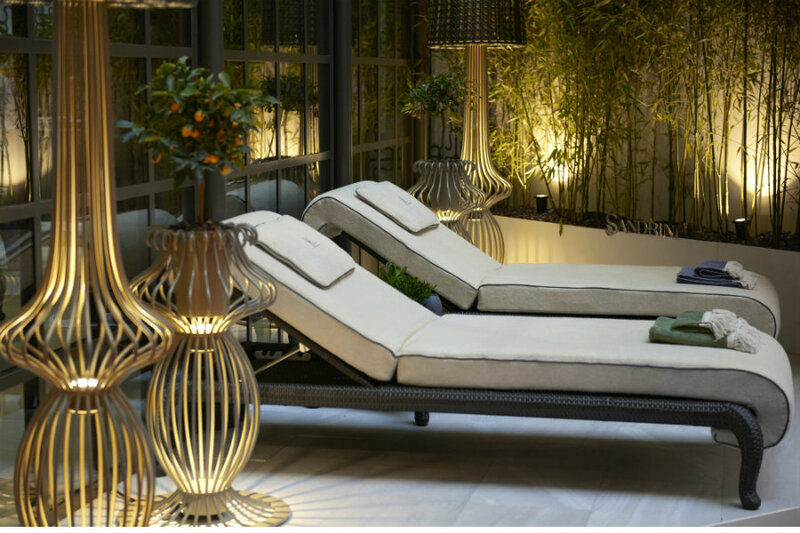 The most practical and common furniture choices for conservatories have historically been made from rattan, wicker or non-tanned leather. Natural fibres are still a symbol of trend and style and are also environmentally-friendly and sustainable. Not only because they are a living and organic material, but also because they avoid destruction of precious resources, keeping natural ecosystems intact. There are numerous options out there when it comes to this type of furniture: from tables and chairs to sofas, armchairs and tables, from beds to chaises longues, there's something to suit every taste and style. Rattan outdoor furniture doesn't need much maintenance, but you do need to take some precautions as being exposed to water or direct sunlight for prolonged periods of time can cause it to fade. In addition to natural rattan, you could also opt for a new synthetic fibre material, which looks just like rattan but is resistant thanks to technological polymers. "Synthetic rattan", "eco-rattan" or "poly-rattan", is made of high-density polyethylene (technical code: HDPE, i.e. "High Density Poly Ethylene") and is the only fibre that offers appropriate durability as it is designed specifically to remain outdoors for prolonged periods of time and can therefore be exposed to direct sunlight and adverse weather conditions. These materials are perfect for furnishing conservatories as they are very tolerant to heat and humidity. Rattan is a precious natural material which comes in cane form. Imported from South-east Asia, it's used to create furniture after a careful selection process. Wicker is obtained by using the inner part of the rattan cane. Softened with water and then woven by hand, it allows you to create a variety of textures and classy designs. Untanned leather is a naturally strong valuable material made from untanned animal skin (lamb or veal). It is cut into thin strips to be braided and can be used both for binding, which has a decorative value, and for weaving. It can be coloured and treated with a fixative that enhances its appearance and resistance, giving it long-term protection. Synthetic rattan (also called poly-rattan) deserves more attention as it mimics the look of natural rattan, despite not being natural at all. It is a material made with high density polyethylene (HDPE), specially designed to guarantee greater resistance and durability when exposed to atmospheric agents. It allows for the creation of woven surfaces made from compact or rarefied textures that look like natural rattan but perform like a synthetic material. With this material, furniture collections can be made to look luxurious and elegant. Cushions should be completely removable to allow them to be washed. It is important for upholstery fabrics to be resistant to the effects of the sun and moon. Outdoor furniture is also often stain-resistant thanks to the water-repellent treatments it undergoes. In addition to natural marble, why not also opt for ceramic with a marble finish. Shiny surfaces, seductive colours and veins can transform ceramic into an item of furniture in itself, with excellent characteristics for outdoor use, such as resistance to moisture, UV rays, liquids and abrasions and stains. You can also install layered, patterned or tempered glass when furnishing a conservatory. Layered glass allows you to apply a texture to glass to reproduce a marble or natural stone effect, which is resistant to atmospheric agents and maintains the natural brightness of glass. When furnishing a conservatory, it's important not to neglect the outdoors and to arrange furniture indoors in a functional layout while also ensuring the best possible view of outdoor surroundings. This will help to make the surrounding environment alluring and will act as an appealing design feature. Your furniture possibilities are endless, given the huge variety of styles out there. Rely on an experienced company that will help you to choose the right furniture and the most suitable fabrics. Use natural materials, such as rattan, wicker or non-tanned leather for a more traditional look. 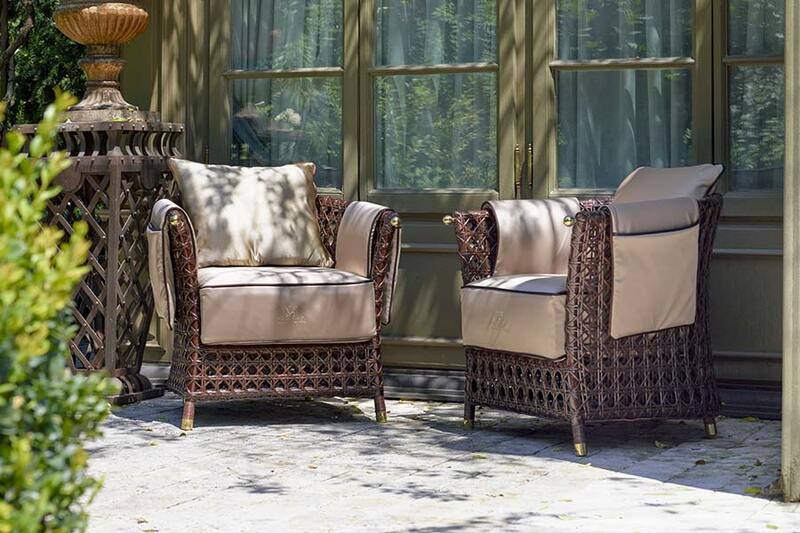 If you want to combine resistance with comfort, consider using synthetic rattan or iron. Marble and stone are natural materials that can provide various different sensations thanks to their nuanced appearance. Opt for a transparent or bold print in combination with the infinite glass options available. Equally, fabrics must be suitable for outdoor use to guarantee resistance to discolouration. 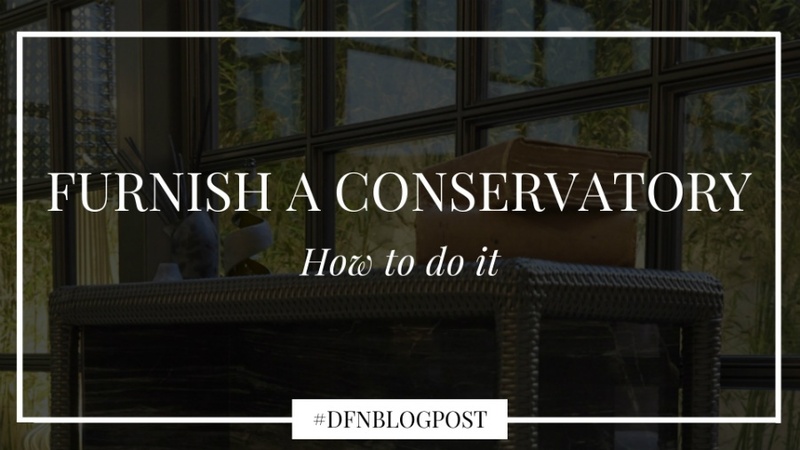 Finally, don't forget the details: they will bring your conservatory to life.